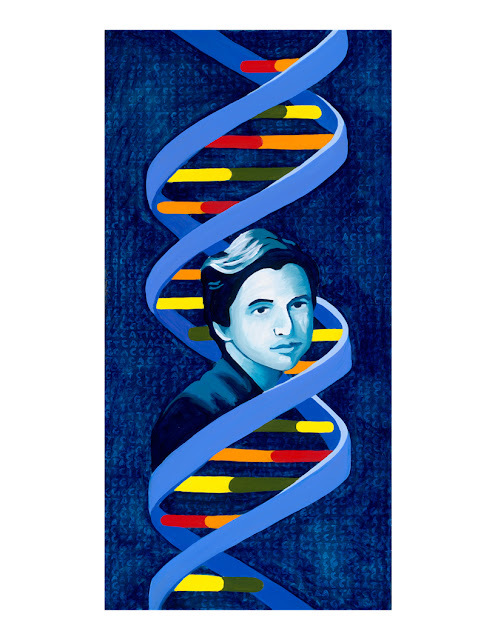 Rosalind Franklin is most know for discovering the double helix structure of DNA. She used x-ray crystallography to photograph the structure. Her lab partners Watson and Crick stole her research and claimed a Noble Prize for her work. After leaving the laboratory that she shared with Watson and Crick she then studied RNA viruses. Her parter Aaron Klug got the Noble prize for chemistry for their work. She was not named on either prizes because she had already died of ovarian cancer at the age of 37.